You may believe that the focal point of your new kitchen will be those beautiful, custom designed cabinets, and they might be. What many people don’t realize, though, is that the kitchen backsplash is also a central focus. Backsplashes provide the opportunity to highlight the theme and color scheme of your new kitchen, but your decision can backfire if you choose the wrong backsplash materials. – Marble: Marble is prone to staining from grease and acidic foods such as tomato, coffee and fruit juices when not wiped away immediately (though stains can sometimes be removed with peroxide). – Stone: Natural stone is porous, so it can stain easily and be difficult to clean. For these reasons, this type of tile must be properly sealed. Sealing is done prior to installation, but the tiles must also be periodically resealed to avoid staining and allow for easy cleaning. – Stainless steel: Stainless steel tiles can be discolored by acidic liquids such as tomato, fruit juices and coffee. You’ll also need to avoid abrasive pads and cleaning solutions that can scratch stainless steel surfaces. – Ceramic: Ceramic tiles are popular choices for backsplashes, but they, too, come with upkeep requirements. 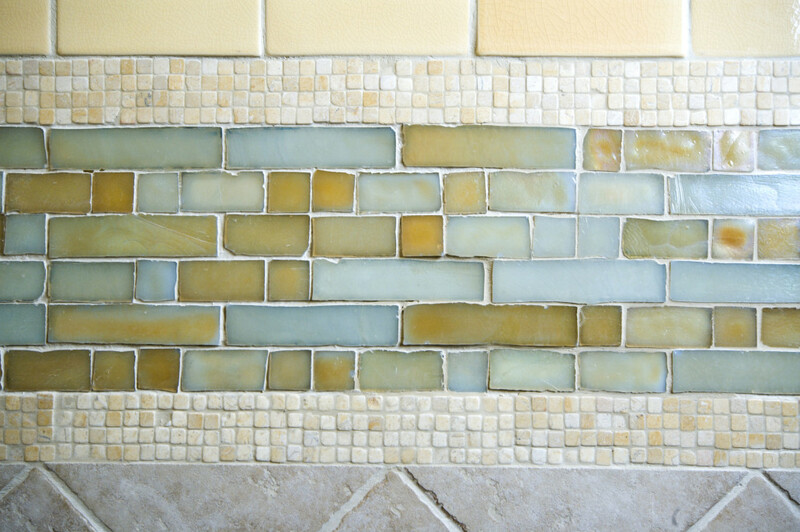 Grout sealer should be reapplied to ceramic tiles approximately every six months. The key is to install glazed tiles near stoves and sinks. Glazing provides stain resistance and makes the tiles extremely easy to clean. Get the best of both worlds by using marble, stainless steel and other materials to accent glazed tiles. The visualizer tool and the expert designers at Kitchen Central will make sure you get the backsplash you want without the backlash you don’t.